Our spicy oil based body scrub will leave your skin feeling like you’ve just left the spa. 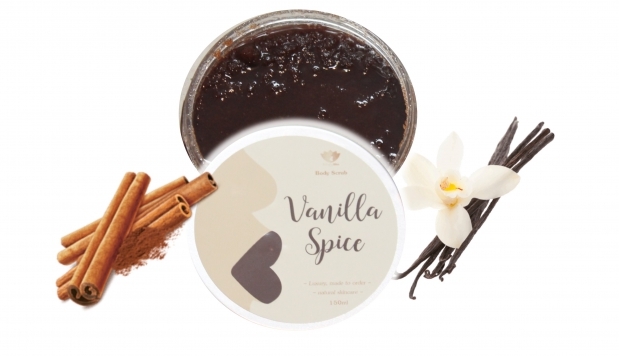 Completely refine and polish your skin with this beautifully spiced moisturising body scrub. Made with the finest sugar and spices and beautifully scented with Vanilla oil, this oil based body scrub is sure to have your skin feeling silky soft. It lifts off dead skin, whilst simultaneously providing sublime moisture.